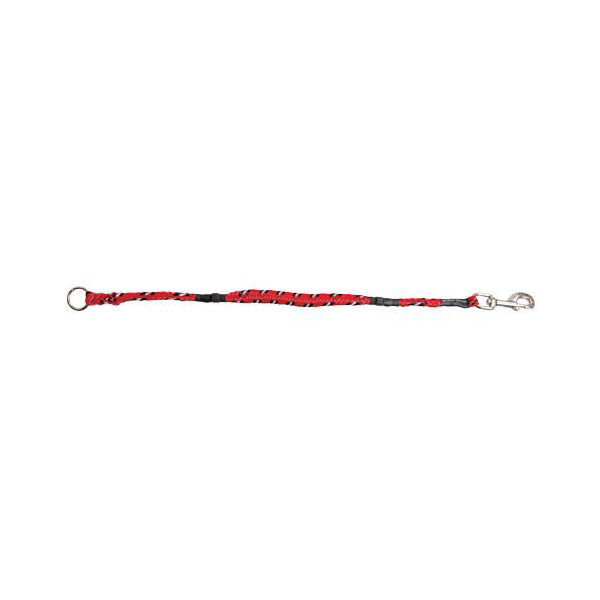 Allow your dog more room to roam with the Mongrel Dog Leash Extension in red! Shock absorbing technology built into leash extension. Works great with the Mongrel Dog Leash (sold separately) or any leash. Made of high-quality woven nylon rope, like rock climbing ropes. The 24" long Mongrel Dog Leash Extension is a great way to add length to your current dog leash and give your dog extra room to roam. The shock-absorbing technology makes it a comfortable option for both dog and owner! One end has durable clasp and the other has a durable ring. Can be used with virtually any leash. Get two extensions for a dual tangle-free multiple dog walking leash! EzyDog products are made with the active dog and owner in mind. Made of durable and high-quality materials, these products are built to last and serve in the most demanding situations. I thought it was a regular leash. It is made well.